"Part sustainable water company, part art project, part philanthropic project, and completely curious. 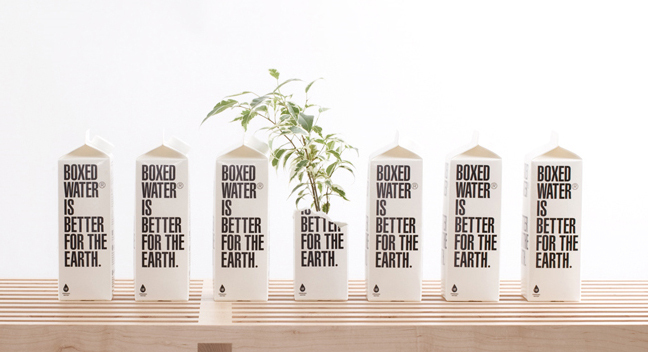 Boxed Water Is Better, is a boxed water company. Part sustainable water company, part art project, part philanthropic project, and completely curious. Boxed Water Is Better, is a boxed water company. Started with the simple idea of creating a new bottled water brand that is kinder to the environment and gives back a bit - we found that it shouldn't be bottled at all, but instead, boxed. So we looked to the past for inspiration in the century old beverage container and decided to keep things simple, sustainable, and beautiful. 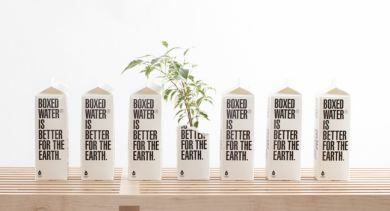 About 85% of the Boxed Water container is made from a renewable resource, trees, that when harvested in a responsible, managed, and ethical way serve as an amazing renewable resource that benefits the environment even as it's renewed. We ship our boxes flat to our filler which is significantly more efficient compared to shipping empty plastic or glass bottles to be filled. The flat, unfilled boxes we can fit on 2 pallets, or roughly 5% of a truckload, would require about 5 truckloads for empty plastic or glass bottles. Our cartons can also be broken down to their original flat state, and are recyclable in some areas. The Carton Council, www.recyclecartons.com, is continuously adding new carton recycling facilities throughout the country. We're also giving 20% of our profits back to the resources our product is composed of - water and trees. Not only does it simply make sense, but we really enjoy supporting water and forestation organizations as it's part of our company's ethos and way of thinking to give back and participate. All that and an over-arching focus on simple and beautiful design that compliments our brand as well as the spaces it's sold and consumed in"